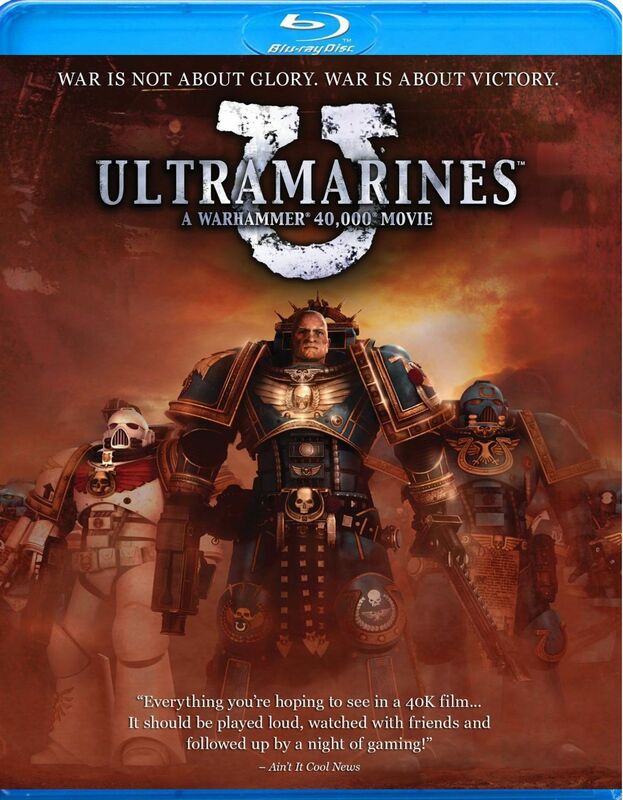 Ultramarines: A Warhammer 40,000 Movie... I don't know what Warhammer 40,000 is, but it sounds cool, and so does Ultramarines. The description on back of the Blu-ray case says it's set far into the future and deals with Space Marines fighting aliens, so what could be cooler than that?! Well, turns out just about anything is cooler, because this movie blows. Who would have thunk that a film about space marines fighting aliens would turn out to be one of the more boring, uninspired, visual bland movies of all time. Let's start off with the visual, since those are the first things you notice. This is a CG film, and the graphics here look like they're straight out of a PlayStation 2 videogame. In a videogame, they would be acceptable, but for a movie, even a straight-to-video movie, they are just hard to watch. And this goes for both the characters and the environments. The environments are all very bland and feel muted. Would it have killed them to add some variety of color? The character animations don't feel smooth or fluid, so it's clear no motion capture was done here, especially with the faces. I was actually glad when the marines had their helmets on because I really didn't like looking at the poor facial textures. The fact that this is high-def Blu-ray makes it even worse because it really lets you see how poor the visuals look. The characters here are also very bland and nearly impossible to distinguish from each other. Everyone wore seemingly identical uniforms, which are big and bulky and not form-fitting, so if you were to chop off their heads there'd be no way to tell them apart. Even with their heads on, the facial textures all looked very similar so I guess it doesn't matter. That's where personalities could have come in to make a huge difference, but nope, none of these guys had any kind of distinctive personality. So basically, I had no idea who any of these characters were, and with no back story and no personal goals I was never even given a reason to care who they were. Okay, so crappy visuals and crappy characters. I guess next up would be the crappy story. It starts out in like a training temple or something with an awkward sparring between 2 of the marines using swords. From there, it's just talk, wait, look, talk, look, wait. Then they get a mission to go to some planet to meet up with other marines or something, so it's into the transport vehicle where they sit, wait, look, talk, sit, wait look. Finally they're at the planet, so now they walk, talk, look, walk, walk, walk, talk, walk, look, walk... I mean holy crap! Seriously?! This movie is an hour and 15 minutes long and the first encounter with a bad guy doesn't happen until like a half hour in. Up until then, NOTHING HAPPENS! 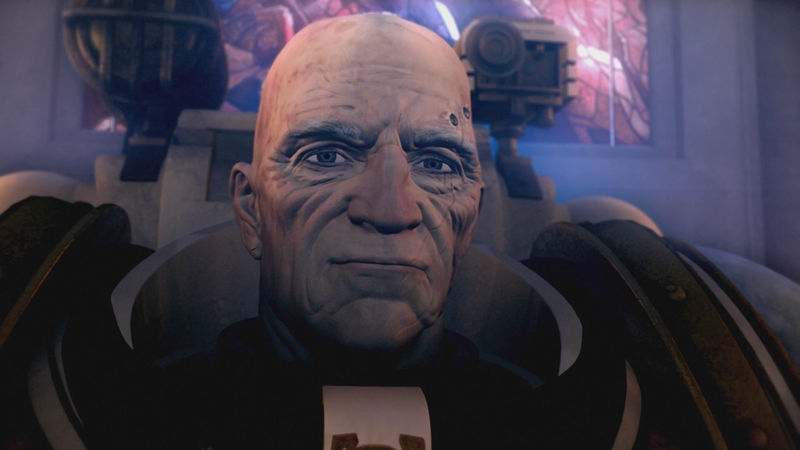 How are you going to make a movie about space marines where they don't do anything? 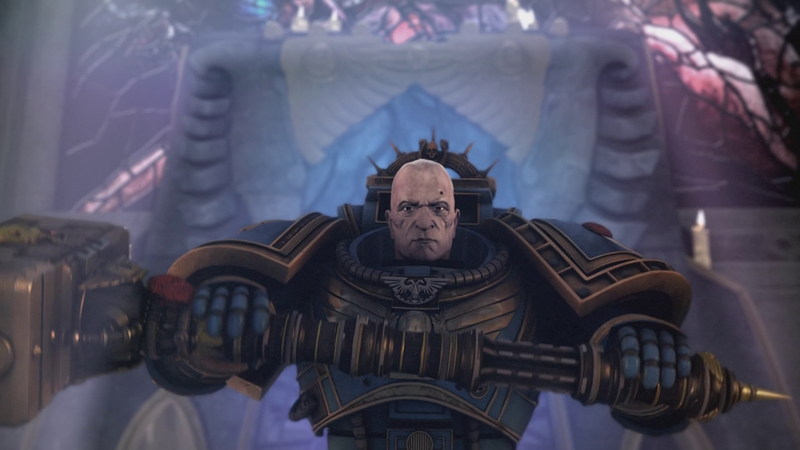 Animated Graphic Novel: 'Ultramarines' "Prequel"
The making-of featurette is about a half hour long and is probably the best thing on the disc. It's split into 5 parts and covers the whole range of making the film. Creating the Daemon might sound cool, but turns out it's just concept design. Thankfully it's not just a progression of images, it's actually animated and also narrated, and since it's less than 2 minutes long it ends just about when it would start to get boring.